Hire the Canon HJ22 ex7.6B-IRSE from just £100/Day. 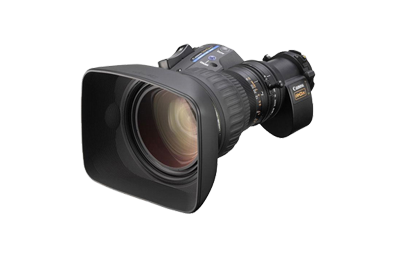 The Canon HJ22ex7.6B-IRSE-A is a 22x 2/3″ telephoto lens built to offer high performance in HDTV news gathering. The lens is lightweight and can be relied upon under harsh conditions. Additionally, it’s equipped with features such as internal focus and shuttle-shot programmable positioning. The focal-length range is 7.6-168mm with a minimum object distance of 2.8′ (0.9 m). This lens has a 2x extender for doubling focal length.